Thanks for sharing. Reading up on Jonestown. People are responsible for "playing into" the megalomania that drives people over the edge. I cannot agree that followers were merely victims rather than participants in the madness of Jim Jones. A rocket needs fuel. Without the fuel of their adoration -- he would have been forced to be a different man. It's sad. 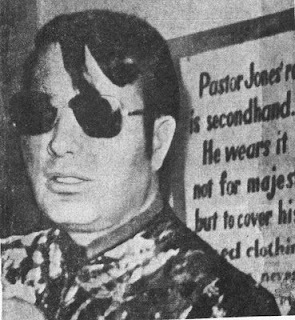 But it was group insanity which took over, and Jim Jones was made a cult leader by these "worshippers" as much as they were made cult followers by him. We are all responsible for feeding into the spirit of evil. I personally have been duly alarmed by the madness and folly within the hearts of man in followers and leaders of man. Thanks again for the article.